In order to stay informed and up to date on all areas regarding Neglected Tropical Diseases, there is close collaboration between a substantial network of contacts which work closely to facilitate the fight against NTDs in line with the WHO 2020 target. In Cameroon, there is a Memorandum of Understanding between the Ministry of Health and the Ministry of Basic Education which ensures both ministries put in effort to work in a cooperative partnership to improve the well-being, health and academic achievement of school students all around the country. The Cameroon MOPH is pursuing vigorous policies and strategies for improving all public health services in Cameroon. Minister of Public Health, André Mama Fouda strongly believes that laboratory medicine leads to better patient management, disease surveillance, and innovations that improve healthcare delivery, and therefore is committed to implementing and rolling out Strengthening Laboratory Management toward Accreditation (SLMTA). The Centre for Schistosomiasis and Parasitology (CSP) is the principal reference laboratory for parasitology research in Cameroon and plays a leading role in research and implementation of control strategies for schistosomiasis and soil-transmitted helminthiasis. CSP provides a scientific and educational environment of the utmost standard and conducts innovative research aimed at improving the health of people in endemic areas of the country. The University of Buea provides opportunities for quality education through teaching and research in an environment that is conducive to such pursuits and in ways that respond to market forces. The University is dedicated to the continuous quest for excellence, the promotion of moral and human values, and service to the community. Its teaching and research programmes emphasize relevance, encourage tolerance and promote creative, critical and independent thinking. 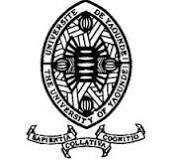 The University of Yaounde I, is one of the leading scientific and cultural state institutions in Cameroon. It is renowned for its academic excellence, innovative research and it has as mission, the development and transfer of knowledge. The University contributes to the advancement of social and cultural development of the people and country at large. The Ghana MOH aims to improve the health status of all people living in Ghana, thereby "creating wealth through health" and contributing to the Government's vision of transforming Ghana into a middle-income country by 2015. The Liberia MOHSW is responsible for administering governmental activities concerning the protection and improvement of public health and social welfare. This includes the promotion and conduct of research in the prevention and treatment of diseases hazardous to the public health. Liverpool School of Tropical Medicine (LSTM) was the first institution in the world dedicated to the fight against tropical diseases. It works in more than sixty countries using innovation and research to improve the health of the world's poorest people. FHI 360 is a nonprofit human development organization dedicated to improving lives in lasting ways by advancing integrated, locally driven solutions. Staff includes experts in health, education, nutrition, environment, economic development, civil society, gender, youth, research and technology — creating a unique mix of capabilities to address today's interrelated development challenges. FHI 360 serves more than 70 countries and all U.S. states and territories.